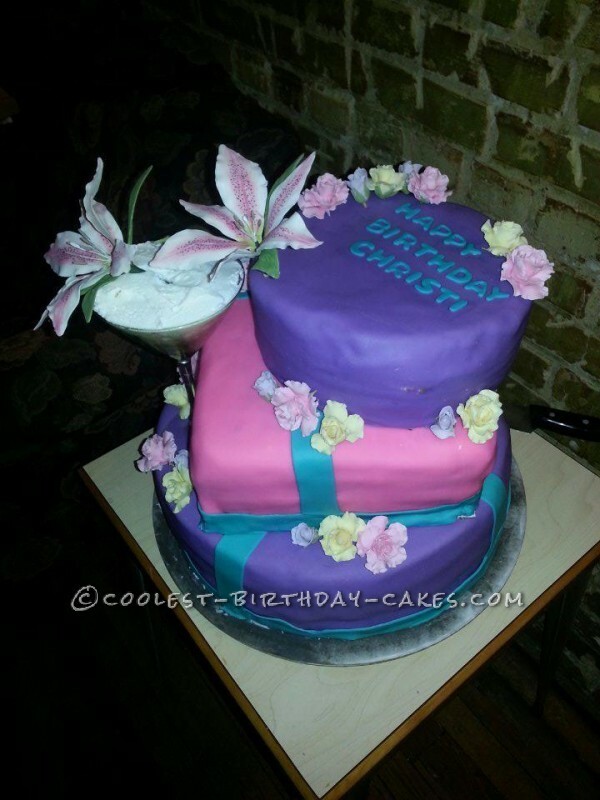 I spent weeks finding the perfect birthday cake for a crazy party girl who was turning 40 this year. So after weeks of research I found the prefect cake! I make achohol flavors in Malibu coconut rum, margarita, and hot damn. Being a party girl I also found the perfect martini glass that was light enough to set on the cake without sinking into it. So I made a triple tiered cake with hand made roses in three colors, pale pink, lavender and pale orange. And two perfect stargazer lilies. I stacked and filled each layer. Pineapple for the coconut, strawberries for the margarita, and cinnamon for the hot damn. 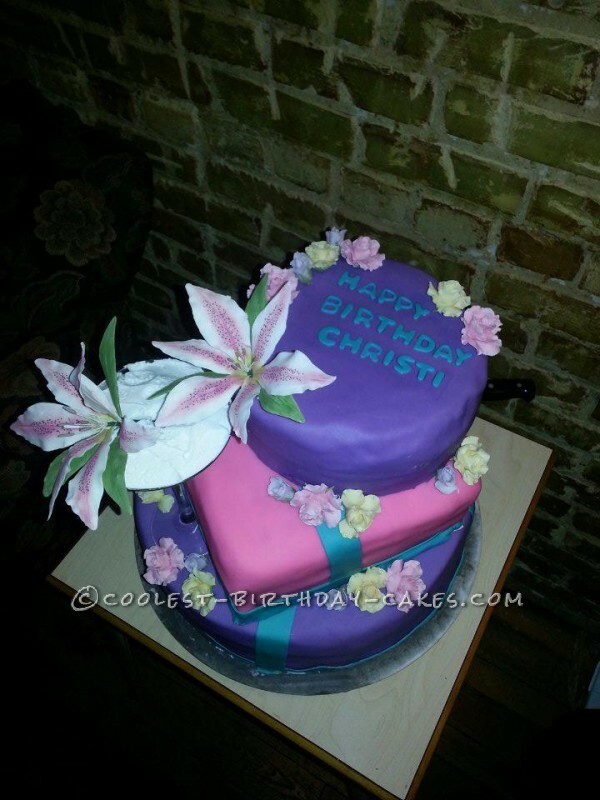 Then covered in pink and purple fondant using an accent color of teal to wrap it in a bow tucking the bottom of the glass between tier one and tier two. 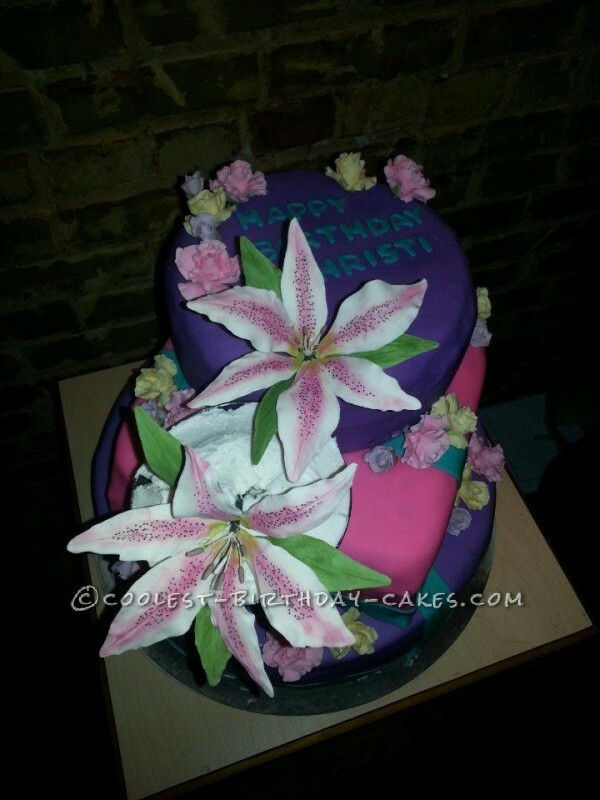 I filled the glass with cake and inserted the lilies. She loved the details I put in just for her. Birthday cake idea posted by Kelly D.